On Thursday, I was hit by lightning! Not really, but it felt like that! I was in the right place, at the right time, with the right person. Currently, my school has a substitute psychologist who is only working with us temporarily. Although I don’t know her well, it is clear that she is intelligent, experienced and resourceful. She asked me to fill out a questionnaire about one of my students. I took it and immediately went to my room to complete it before it became another item on my extensive “to do” list. As I read through each question, I thought carefully about my responses. Always. Sometimes. Never. I was focused on this particular student, but my own son crept into my thoughts. There were a lot of “always” that applied to my son. She asked. So I did. As I shared, most likely over shared, she shook her head. Before long she asked me if I had ever heard of executive functioning. I told her that I might have seen the term in my reading, but I wasn’t very familiar with it. As I spoke, she searched through her files until she found what she wanted. She told me to look over this assessment and to see if any of the characteristics spoke to me about my son. I started at the top and went through the list. Complains about being bored. Yes. Overreacts more than kids his age. Yes. Finishes homework, but can’t turn it in. Yes. Has trouble getting started with chores. Yes. Difficulty with multi-step directions. Yes. Tends to be a “couch potato” Yes. The list went on and the yes responses continued, one right after another. The hairs on my arms stood up while my brain was trying to piece all of this together. I quickly phoned her and told her that this was my son. This was the information that I was missing; the lost piece of the puzzle. We talked and she started telling me all about the books, experts, resources and strategies. There was a lot that I could do to help my son. He didn’t understand why school was hard, but people said that he was so bright. He didn’t understand why he was more forgetful about homework and completing chores. He didn’t understand and I didn’t either. As I have started to research executive functioning issues because of my son, I became frustrated that I hadn’t known this information. As an experienced teacher, I should have known! As a teacher of students of all abilities, I should have had this information to help my students. This weekend, I am soaking up information like a sponge. This will help my son and benefit my students; I plan on telling my colleagues about this too. They will want to know. Did you know about executive functioning? What do you think would help me on this journey? Will you share the resources you’ve found? My son has this same issue and I’m trying to find more resources. 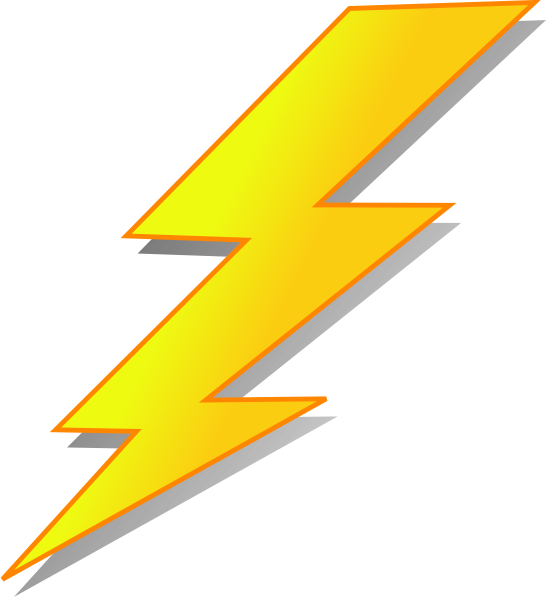 Kudos for listening to the lightening bolt! Yes!! I was already given a podcast to listen to thru The Coffee Klatch, but haven’t listened yet. Thank you!! My son has been called stubborn, lazy, not focused, and most likely ADHD or mood disorder. We knew he wasn’t any of those things! This makes sense. Can’t wait to share more!! Good brochure on this topic. Many 2E kids have EF issues. Our son is 15 and we’ve homeschooled from the get go. He’s HG and I knew that he has some “quirks” but only within the last 72 hours have a started learning about executive function. I’ve been reading The Explosive Child by Ross W. Greene and it is shedding a lot of light on issues that we’ve needed help with but so far no one has been able or willing to do so. I’ll be checking out all the information posted here as well. Thank you for sharing this! I am reading your comment with tears in my eyes! After another hard morning, I know that it is up to me to make his school understand and to make sure he gets what he needs! I’ve never heard of executive functioning! Ever! I’m so glad that you’re getting some new answers – that’s AWESOME! YAY for your new school shrink! I hadn’t heard of it either! I am finding out more through Special Needs Radio, The Coffee Klatch, and Bright Not Broken Radio show. The Internet knew about it and the information is surprising and important! I will continue to share what I have learned! As always, thanks for stopping by and commenting! Yep! Poor executive functioning is the hugest part of my son’s ADHD. He can’t get it together and yep, all those questionnaires had me going “yes!” too. It doesn’t magically make things better, but once you understand what is going on, it helps things and you can manage things better (theoretically). My hope is that this information gets him more understanding, tolerance, and empathy! My son used to have problems with it. We have found that by using forethought, and an efficient system to prioritize and organize his life, he is now doing very well. The key is to establish a set routine…one which is engineered to make it next to impossible to fail to remember to do. Many gifted children’s minds process so quickly that they constantly crave intellectual stimulation. They move from stimuli to stimuli (often visually…especially by movement)…and so they may plan to do something in their minds…and then something else grabs their attention. Their minds often process like a light switch…either on…or off. They get highly excited by a vision or line of thought…and it becomes deeply important to them…until the next deeply important distraction. I think the key is to take as much thought out of organization as possible through the engineering of a system which, so long is followed, is as fail safe as possible. We first bought a good organizer binder, a good backpack, and a permanent location for it in the house. We then established a prioritized routine. When Alex first gets home from school, he puts his backpack down in the same place, takes out his binder and sets it in the same place (dinner table), changes out of his school clothes, goes back to the dinning table, takes out all of his homework assignments and places them next to the binder. He will then search through each of his separate class (color coded) folders, pull out all the papers within, and then place each into a separate bin we have for each category we have designated for him (graded work and reference material). All future assignment sheets he will give to me (I have a special clipboard at the dinner table) and he will get rid of any papers not needed. He will the initiate his homework (while his mother is making him a snack. He eats while he is studying). At the conclusion of his homework, he will call me and I will go over it with him to ensure he understands the concepts. At the conclusion of each finished assignment…before anything else…he will then put it into his organizer binder in the appropriate class file. Then he will move on to the next assignment. After he completes his school homework…immediately after…he then puts his binder into his backpack…at the door…so it is pre organized and ready to go in the morning. Alex then does his advanced work, and then he calls for me. We will then cover any special work (I work on special short term assignments with him on school days, and on the weekends, we work on his long term assignments). Afterwards, we will then do our daily critical reading and reasoning practice. By then it is 6:30 PM. We will then go out to the garage to do his daily physical training. He will then shower and will usually have about half an hour of free time until dinner. After dinner, he then has the rest of the night to himself (about one hour). This is his established routine. It is done daily every school weekday. On the weekends, he will get up and study his advanced work. He will then get me, and we will go over his long term projects. On Saturdays, we will then do our outdoor endurance training (mountain biking / downhill or cross country skiing / swimming…each depending on the weather). Afterwards, we will eat dinner, and he will then have his free time. On Sundays (after his advanced and specialized work), he goes to his 2 hour math club practice, we go home and he does his physical training, and then before and after dinner, he is free). During all holidays, the schedule is a perpetual weekend schedule. He studies everyday…he just gets more free time. If you notice, he has a set routine. The routine is thought out in advance. It is efficient and effective. It is done daily. It is done without fail (other than when we go on special excursions). Often, the most successful people are highly organized. They have a system which works…and they follow it without fail…so they do not. My son loves routine. Once he saw the great merits to the system… and the great results from following it…he felt the great freedom from frustration, boredom, and anxiety that following a system provides. I totally understand how this works at home, but how did you get his teachers to understand and support him? If I remember correctly, you homeschooled through elementary school. My son has been thought of as lazy, distracted, stubborn, and over-indulged instead of considering the impact of his medical condition. Yes, my son has been homeschooled (still is…in addition to school). He was initially strictly homeschooled until he started preschool. He then completed elementary school through the 4th grade. From 4th until 2/3 through 6th he was then strctly homeschooled once more. Since 2/3 of 6th…he has been in school (and homeschooled). We had EIP meetings with his elementary school staff. They understood his condition and they accommodated him. He was so advanced that they allowed him advanced texts in class, time in the computer lab for advanced courses, and they put him in higher grade classes for his math (in a classroom with the 8th graders while in 4th). At his present school, we talked with the staff and they were also very accommodating. They flexed his schedule to put him in higher courses and grade level classes. The school has a web site where parents may look at the assignments and the scores earned, along with special notes from the teacher. I also talked to each of his teachers and asked them to e-mail me if they noticed any problems so I could rectify them at home before they became a problem (there never were any problems). We had a great head start. His 35 – 40 hour a week in home ABA therapy, when he was just 3 years old, got him used to studying and completing tasks 8 hours a day (he loved it). He had completed all they could teach him within a couple of years or so (he advanced quickly and responded well to the program). The ABA staff continued to advocate for him at his IEP meetings…and shadowed him at his school during elementary school. (their teachers were not qualified to teach him higher courses)… they recommended we homeschooled him full time. The key to his success has always been an established routine, and positive reinforcement. He always earned his free time by doing his work first. This is VERY important. as a matter of course…with very few exceptions. We taught him in small bites, with frequent short breaks between…always monitoring him for signs of frustration or boredom. We then extended his study time without breaks until they matched at least what could be expected at University. Just as the body adapts to increasingly more rigorous exercise (increased intensity and quantity), the mind and emotions also adapt. Although we started early with him…just as with exercise, the body and mind will adapt, so long as the stimuli is enough, without being too much at one time, and there is enough recovery. It is not too late to change behavior. It just need be done as a routine without fail…and with plenty of postive reinforcement. I don’t wish to sound flippant. We had a huge advantage with our son. First of all, we had him diagnosed early (Autistic) at age 2.5 years old. His high quality ABA in home therapy started at age 3…and in high enough quantity (35 – 40 hrs. a week). The staff were very motivated, compassionate and caring, and professional. My son was intially very stubborn, had numerous compulsions and fixations, focused on only one thing at a time to the exclusion of many…etc. It was through the firmly followed routine of work first…and reward later (positive reinforcement) that he learned to apply it to everything in life (deferred gratification). They had taken him from a path of disability, to one of excellence, through structure and reward, and always a great amount of affection. He learned to love his positive reinforcement (not just his earned free time…but his teacher’s great praise and hugs). My wife and I always followed through with the pattern set by his therapists. We watched them on an audio/video system we set up in his “classroom” in our house. The concept was simple…and we applied the same throughout his life. One important point…the very first thing they worked on was his behavioral issues. His first few sessions resulted with him trying to attack the therapists by scratching at them. Just after a few days…he no longer did that…all through positive reinforcement (no negative reinforcement). They then worked on his compulsions and fixations. They then got him more engaged with things he initially had no interest in…including other people (besides his mother and I). They then got him learning new things happily (his mother always stressed this throughout his young life..but he was almost always fixated with numbers and letters to the exclusion of most everything else). everything else will be difficult. Correct the heart…the mind and body will follow. If a child first gets what he wants…there is no motivation to do anything else. I know that you were asking about the teachers. Laziness comes from boredom and a lack of hope. My son was fortunate to have had a very accomodating atmosphere. He was allowed to advance academically at his pace (we also ensured it through advanced studies at home). With a passion for what he does…distractions are greatly diminished because he is so focused. Strong minded is sometimes mislabeled as stubbornness. If he is right…he is strong willed. If he is wrong, and he knows he is wrong, and he then continues the same path…then, and only then, is he being stubborn. The way to combat stubbornness is to have the child admit when he is wrong. Show him logically where he is wrong…and what the correct way is…and have him apologize. When people say over indulged…they often confuse it with giving a child too much affection or “good things”. It is, instead, a lack of structure…a firm line which the child must not cross, which spoils a child. There can never be too much affection or positive reinforcement for positive actions…just the misapplication of it (inappropriate times – praising for mediocrity). That which you reinforce…is the action you will receive. So far as what his teachers are saying…I would first have them qualify their statements. If his actions or inactions are as they say…then a valid problem has been identified. A teacher is not so stringent a taskmaster as will his, one day, employer be. If he is to succeed in this world…he will have to adapt. The world will not adapt to him. Just from my limited information, I cannot say which is going on…however, if your son is bored at his school, he needs greater intellectual stimulation. What we had done was to get our son tested by a psychologist who specialized in testing gifted children. We had also entered him into various intellectual competitions and tests. With this evidence, we could then prove to his schools that he needed higher courses. There was never any resistance from his schools because we could always provide an undeniable argument for greater intellectual stimulation. My wife continues to compile his resume for future objectives. At each objective, there is a door which needs a greater key. With each objective met…his resume grows stronger. His resume is the key to those doors. Start compiling now for his future. Thank you so much for sharing this, Kelly. I have some new research and reading to do.